Tonkotsu Black! 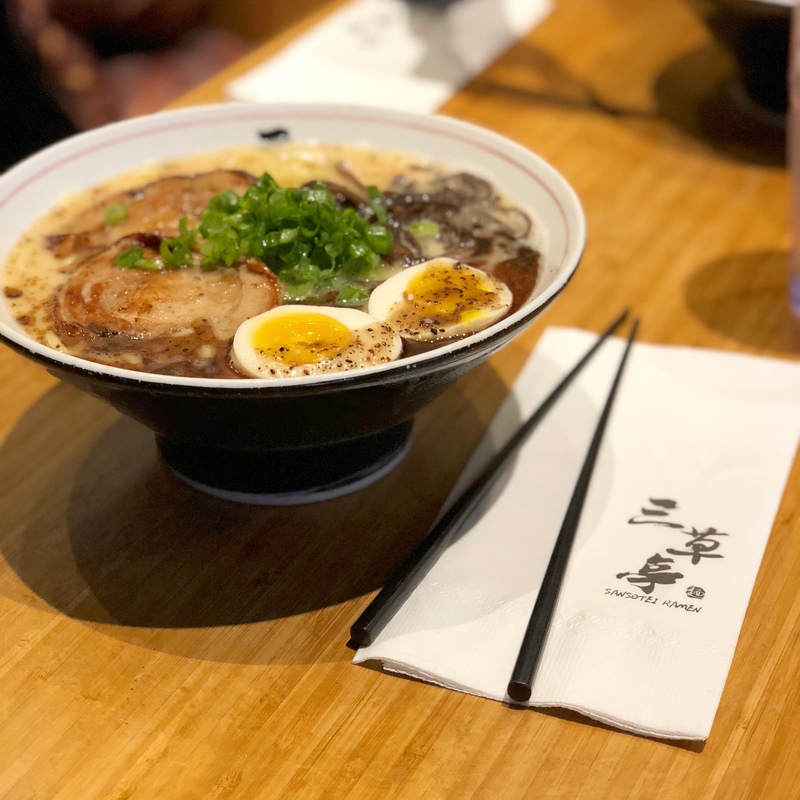 Tonkotsu broth with thick noodles and topped off with a black roasted garlic oil, two pieces of chashu, a soft boiled egg, black fungus and green onion. Sansotei Ramen is located on Bank Street between Slater Street and Laurier Avenue West. Don’t worry it won’t be hard to find – if they are open – there will be a line of people waiting outside for a bowl of pure deliciousness!